More and more people are now looking for ways to celebrate the Advent season. 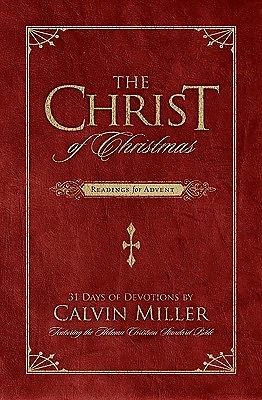 This modern favorite from Calvin Miller, now in a cozy jacketed hardcover edition, features brief everyday devotions for the entire month of December that bring readers back to the very first Christmas. Each devotion includes a full-page Scripture reading, main message, call-out quote, and written prayer. For anyone who desires a longer stay, there's an additional passage to read from outside the Gospel accounts based on the day's theme, as well as discussion questions that encourage group study or family time. Revisit the manger, the miracle, and the meaning of Advent with The Christ of Christmas.